"Some Years Ago" is generally speaking an autobiographical poem. When I was much younger I went through the process of losing my religion. I eventually gained a new perspective which I call "ATIism." It's a great inspiration in my life. I lead by reason & observation but intuition and emotion assists. I do not put former humans on God-like pedestals. No one or thing can compare to ATI. And yes ... I enjoy numerous mystical moments meditating on the wonders of life within "All That Is." Jesus failed to come back within the lifespan of his own generation. Over the centuries people have mistakenly claimed the New Testament says or means he was going to come back in their time. 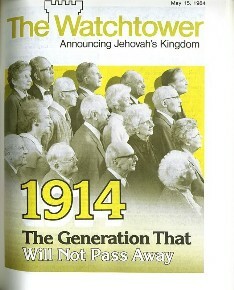 These "interpretations or new prophecies" have been repeatedly shown to be false. Today there are more books and articles than ever on the same theme. However, you cannot predict the future based on failed prophecies. Some years ago, I believed the kingdom was neigh. People were to flee to the mountains … before Jerusalem’s great fight. Jesus would arrive on clouds and save them on their darkest night. The faithful would meet in the sky and confer with angels, how cool! Jesus would pass out crowns and together we’d rule. The thousand year perfection would start very soon! Then I read the book again. What I believed, it didn’t say. Jesus gave his promises and the season but it was for the people of his day. As Herod’s house fell, it rang the final bell. It had been the lead-in reason for the prophecy on the olive hill. All the signs were sown together but when that generation passed, the quilt was torn in half. Patches were sold, even today. The fakes look real but the colors aren’t the same. Just open your eyes. Watch the “old one” whom Einstein and Hawking crowned. Our planet emerged off the Big Bang wreck. The earth is a rare pearl, sparking blue and white and it’s strung around Darwin’s thick neck. Some atoms it appears have learned how to think. It must be so, if we’re on a molecular trek! Science is grand, but some say in Plato’s cave plays the oldest band. Their jazz sways, “This world is a shadow and there’s another land. The music doesn’t die; just listen to its chime.” It sounds like another myth but I’ll wait and see. Even if I want it so, I’ll still let reason be and won’t believe in failed prophecies. 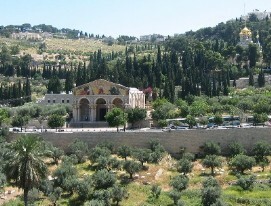 Photo of Mount of Olves: This is just outside of Jerusalem. It's the place where Jesus gave his prophecies regarding the end of the age to some of his disciples. It is also the area where he was expected to land on his return. He failed to show, as clearly predicted, within the lifespan of his generation. Churches have tried to re-interpret it all ever since.